Last Updated: January 21, 2016 | Subscribe to our weekly newsletter! The dreaded hot tub lung. We have all heard about it and I bet many of you worry that you will get it. Hot tub lung can affect many hot owners and often goes unnoticed by doctors simply because they fail to ask if you own a hot tub or not. This lung disease can cause damage to the lungs if it goes untreated and can be exacerbated by continued use of your hot tub while you are trying to fight the infection. Let’s take a closer look at hot tub lung, its causes, treatments and what you can do to prevent it so you don’t have to worry about contracting this disease simply because you own a hot tub. It’s is a lung disease that is often associated with indoor hot tub use. While its technical name is hypersensitivity pneumonitis, it has earned the name hot tub lung and even lifeguard lung because of its links to both indoor hot tubs and indoor pools. Hot tub lung is caused by inhaling endotoxins in the form of the bacteria mycobacterium avium. These fragments of bacteria have become aerosolized by the steaming water of your hot tub. This means that you breathe these in while you are soaking and inhaling the steam in the air around you. Once inside your lungs, these annoying little critters go to work causing a vast array of symptoms that will make you feel, well, really bad. Because these symptoms are so common, hot tub lung is often misdiagnosed as anything from bronchitis to asthma to tuberculosis. If you are experiencing these symptoms and use a hot tub regularly, be sure to tell your physician so they can consider hot tub lung as a possible cause. Treatment for hot tub lung can vary from patient to patient. First, you must drain the water and clean your hot tub properly. In some cases, doctors will recommend that you stay away from your hot tub entirely until your lungs have a chance to heal. In many cases, by doing this, your lungs will be able to heal and repair themselves. In other cases, further treatment is required. In these cases, antibiotics and anti-inflammatory steroids are used for the patients. Be prepared for the treatment to last a while, as many cases can take up to a year to heal fully. I know, that’s a long time to go without your hot tub. That is why prevention is key. That way you don’t have to worry about shutting down your hot tub for an extended period of time. 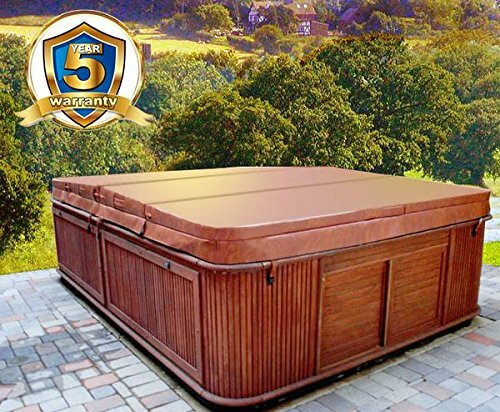 If you do end up closing your hot tub for a while, though, make sure you keep it covered If you click this link and make a purchase, we earn a commission at no additional cost to you. so you don’t return to a tub full of dirty water. As much as you love your hot tub, I’m betting after reading the above you are now nervous about using it. Relax. The great thing about this disease is that it is very easy to prevent. All it takes is a little work from you. The main way to prevent these types of infections is to properly clean your hot tub and its filters on a regular basis. 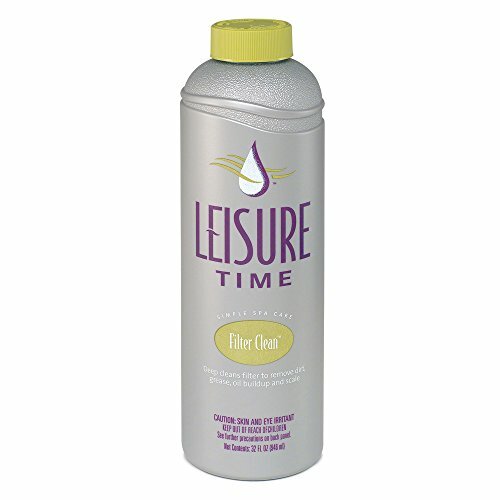 The most common water disinfectant, chlorine If you click this link and make a purchase, we earn a commission at no additional cost to you. , loses much of its power when water temperatures rise above 84 degrees. While it will still clean the water, it won’t do as good of a job. That means that you have to be extra careful to change and clean the filters and you need to make regular water changes. Remember, change your water regularly and make it a regular habit to clean your hot tub If you click this link and make a purchase, we earn a commission at no additional cost to you. thoroughly. While you can sometimes get away with just rinsing your filters, be sure to also use filter cleaner If you click this link and make a purchase, we earn a commission at no additional cost to you. on them regularly. Consistency is key. If you make sure you take care of the water the way you should be you shouldn’t ever have to worry about contracting hot tub lung. While the disease should be taken seriously if you do have it, remember that it is easy to prevent and, in many cases, is pretty easy to treat. Even if you do require extra treatment, most patients will recover fully after a year. The sad thing is, it is really easy to prevent. 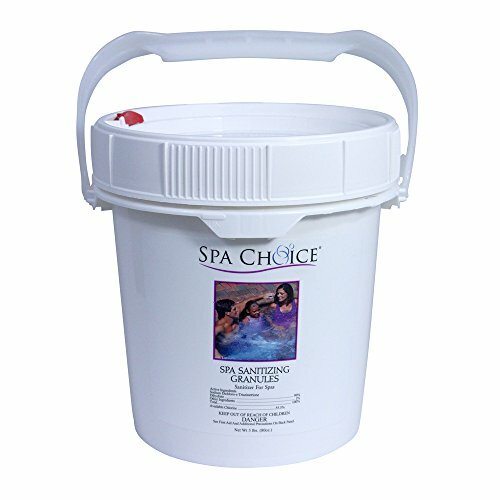 Remember to always practice the best hot tub care practices especially when it comes to your water. If you do that, you won’t have to worry about contracting this disease and you can enjoy your hot tub worry free.